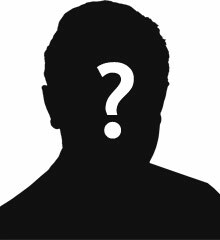 Thomas Conlon was the son of Robert and Margaret Conlon. He was born in Benburb, Co Tyrone about 1899. The 1911 census shows Thomas as a 14 year old labourer. He was living with the family at Mourneview Street in Portadown. Thomas Conlon enlisted in Portadown. 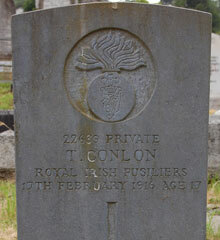 Private Thomas Conlon was serving with the 10th Battalion of the Royal Irish Fusiliers when he died on the 17th February 1916. Thomas is buried in Loughgall Old Cemetery and commemorated on Portadown War Memorial.